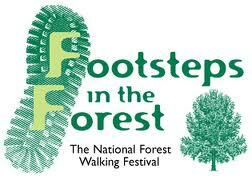 Annual Walking Festival taking place between 18th & 30th May 2013. The festival offers various walks of different content which can be enjoyed by all ages & abilities; the areas that the walks cover include parts of South Derbyshire, North West Leicestershire and East Staffordshire. Participants can walk from 'California' to 'Calcutta' (two former mining sites which are now part of the National Forest), stroll with the National Trust's Ancient Tree expert and discover 1000 year old oaks, enjoy an Ale Trail (including a visit to a micro-brewery), visit the smallest church in Leicestershire and walk a route with a history of 'Mines, Mills and Murder'.